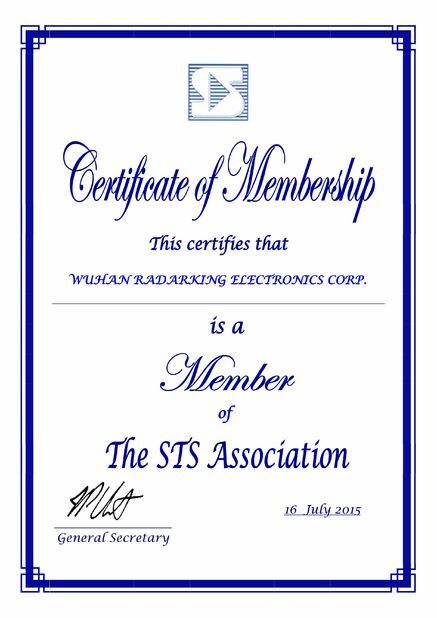 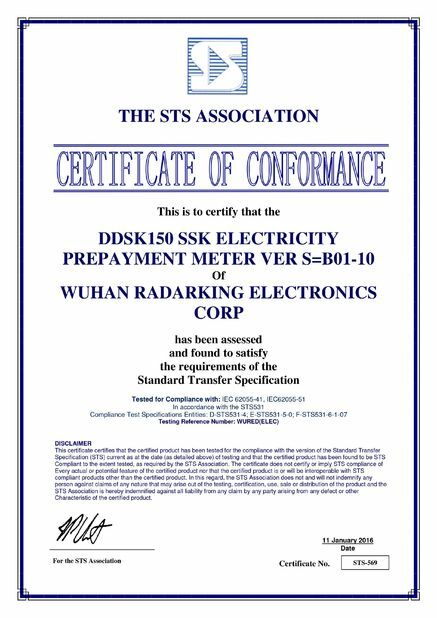 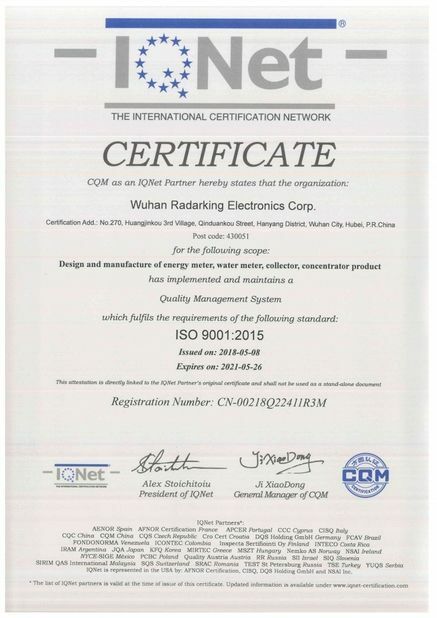 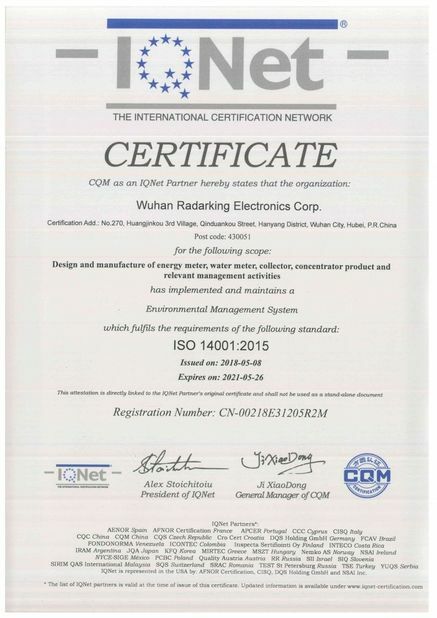 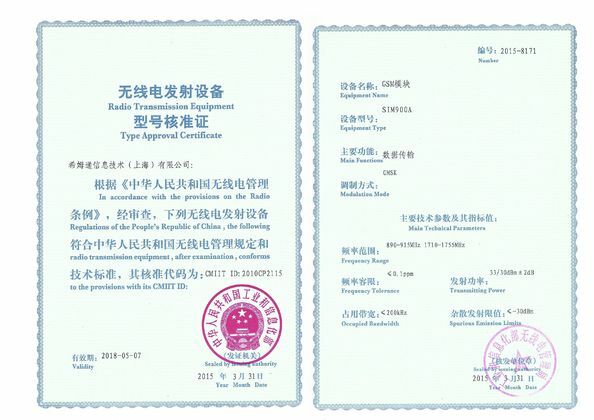 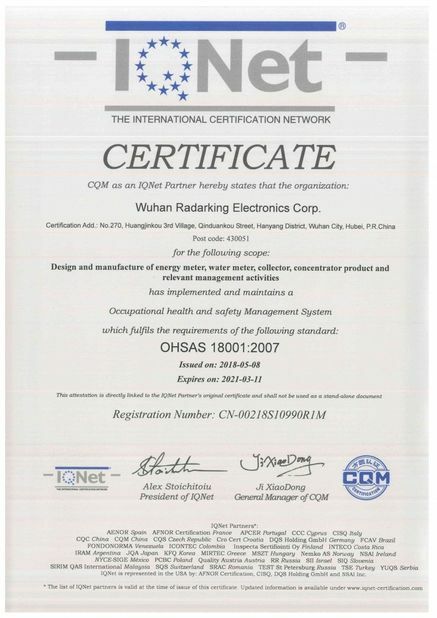 Quality Control - WUHAN RADARKING ELECTRONICS CORP.
We have a high efficiency, innovative, serious management team, and the factory has already passed ISO9001-2008 QMS, and ISO14001-2004 environment management system. 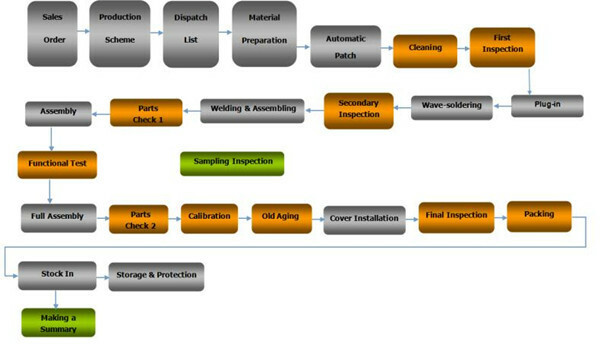 It has not any batch quality problem since establishment. 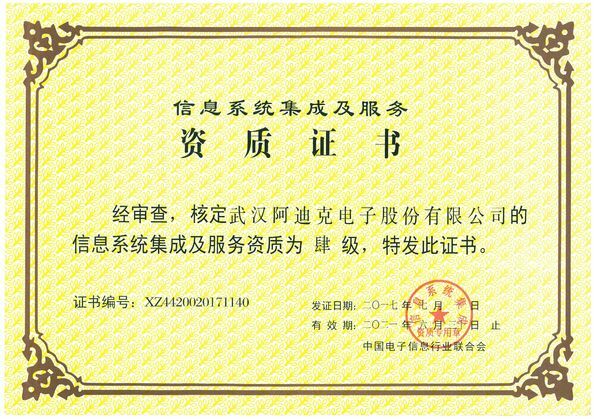 AQSIQ( State Quality Inspection Administration) take the spot checking of our electric meter during 2009-2017, and all the meter passed the inspection. 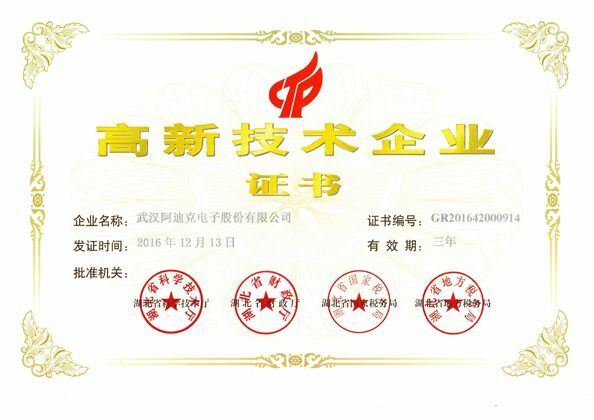 Fully proved that the production is according to our quality management system, and the product quality is stable and reliable. 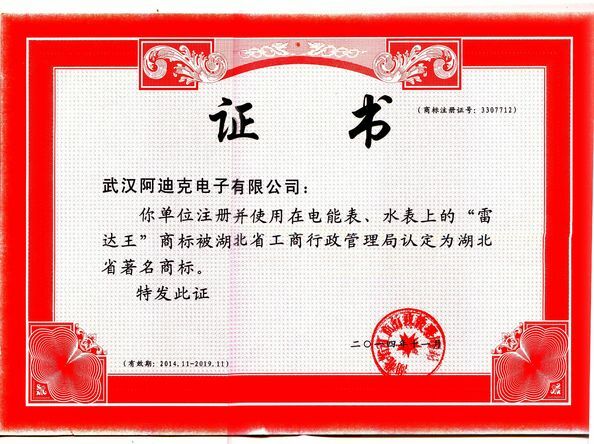 Issued By:Ministry of Industry and Information Technology of the People's Republic of China. 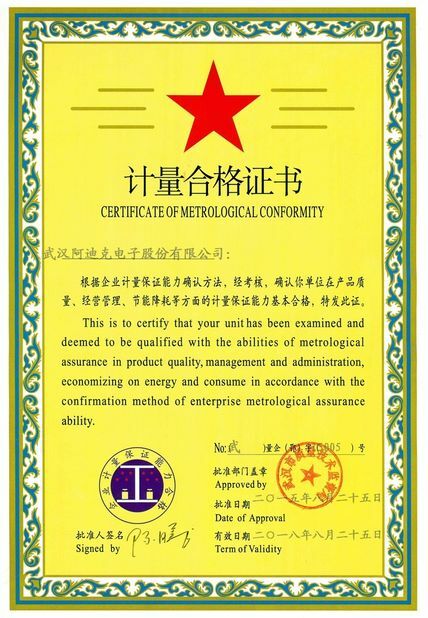 Issued By:China Federation of Electronic Information Industry.